Аккумулятор для ноутбука Acer Aspire 5600, 7100, 9400, TravelMate 4670, 5620, 7510 Series. 11.1V 4400mAh 49Wh. PN: CGR-B/6F9, BTP-BCA1. LC.BTP01.013, BT.00803.014, CGR-B/6F9, BTP-BCA1, 3UR18650Y-2-QC236, 4UR18650F-2-QC218, LIP-6198QUPC SY6. 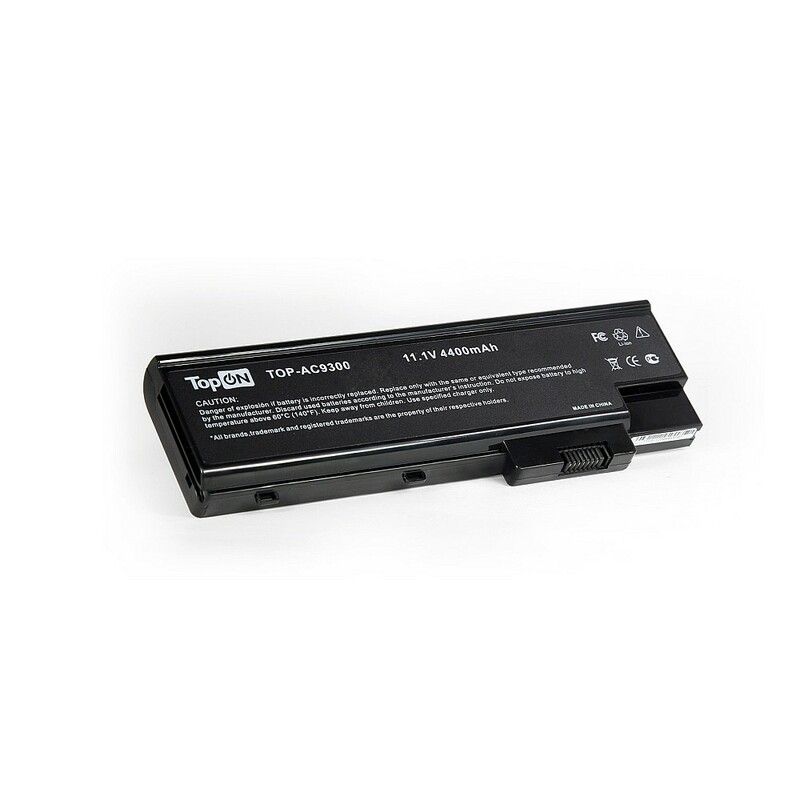 Acer Aspire 3660, 5600, 5620, 5670, 7000, 7100, 7110, 9300, 9400, 9410, 9420, TravelMate 2460, 4210, 4220, 4270, 4670, 5100, 5110, 5600, 5610, 5620, 7510 Series.